Have you ever found yourself in a situation where you needed a printer, copier, fax machine, paper shredder, or even laptop, but didn’t have access to one? You most likely felt stressed and worried that the job task you were trying to complete wouldn’t get finished or would be completed way off deadline. Although we live in a digital age, there is still a need for physical business equipment. In every profession printing and copying documents, shredding papers and forms, and faxing information are essential, unavoidable office duties. And when you’re working remotely or from a temporary office, it becomes even more important to have access to quality office machinery. Perhaps you’re a lawyer who is setting up a war room, or maybe you’re in charge of putting together an office space for a movie or television show set you’re working on. Perhaps you’re in charge of assembling a conference or convention, or maybe you’re simply organizing a temporary office space. In all of these scenarios, business equipment like printers, copiers, fax machines, paper shredders, and laptops are integral. But why purchase all of this equipment when you can simply rent it for the time you need? 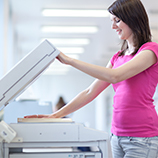 Here are three benefits to renting office equipment as opposed to purchasing. Contact Business Equipment Rentals, Inc. if you have any further questions. This might be one of the biggest, if not the biggest, benefit of choosing to rent over purchase office equipment. There’s no doubt that hefty machinery like printers and copiers are pricey, and even more so when you are wanting only the highest quality. When you choose to rent office equipment, you’ll be saving money, especially so if you’re working from a temporary space or if you’re assigned to a project for a short amount of time. There’s no need to overspend on equipment that you’ll only need for a short period of time. 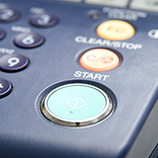 Save money while using quality, reliable office supplies from Business Equipment Rentals. When you choose to rent equipment instead of purchasing it, you might be able to deduct it as a business expense. Not only will you save money, but you might even be able to receive a tax benefit as well. It’s a win-win! You’ll know that business equipment, especially laptops, can age quickly. Not only do they age, but they are expensive to purchase. If you have made a commitment to providing yourself, your company, and your employees with up-to-date devices, it’s more money efficient to rent equipment rather than purchasing. If you choose to purchase, you may find yourself needing to repurchase the updated version of the machines every few years. But with a rental service like Business Equipment Rentals, you’ll have access to the latest editions of printers, copiers, fax machines, paper shredders, and laptops at a price you can afford. Work With Business Equipment Rentals, Inc.
Do you live in New York City or anywhere around the Tri-State area? If you’re looking for equipment rentals for a temporary office space, conferences, conventions, special events, or more, look no further than Business Equipment Rentals. Serving our customers with high quality, name brand equipment for 25 years, we know the importance of having reliable supplies and machinery on hand to get your job done efficiently and correctly. 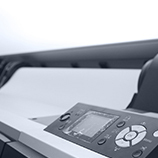 Our services have been designed to provide you, your business, and your employees with access to printers, copiers, paper shredders, fax machines, and laptops at a price you can afford. Plus, we’re located centrally in Midtown Manhattan, meaning we are in the prime spot for you to come to us or for us to come to you. If you are interested in our rental services or are looking for more information, don’t hesitate to contact Business Equipment Rentals, Inc. today.